Once a little pig lived in a dark, sad barn. He was old and blind and had lived his entire life in darkness. This darkness was much deeper than that caused by lack of light in the barn, and much darker even than a blind old pig might normally experience. Selick’s darkness was the most profound sort— a darkness that emanates from desolation. From the time he was born in the dark barn, his world was filled with angst, fear, and worst of all, a lack of hope. His mother loved him as much as she could, but she herself was caught in the same helplessness and despair. The barn was filled with old cow poop, broken glass, and other dirty, scary things. 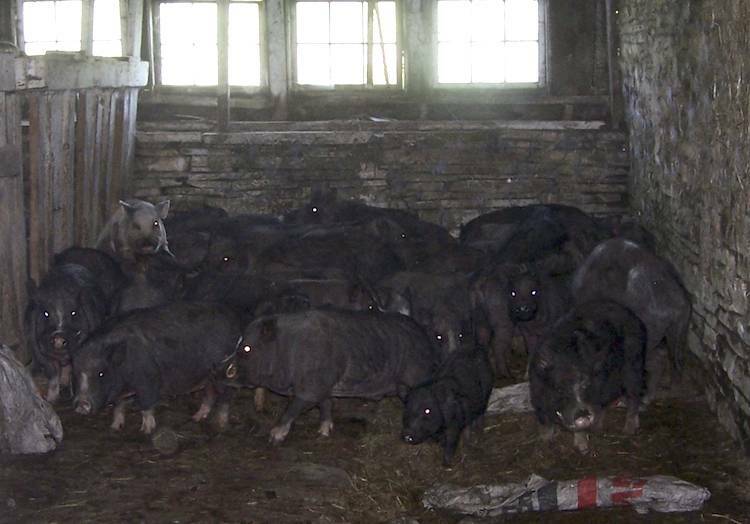 Selick, his mother, and the many, many other pigs there had not a single clean, comfortable, safe spot to sleep. Sometimes the human brought food, but often she did not. Sometimes, the food was really smelly and bad, like animals that had been hit by cars and left on the side of the road for a few days. She had, once or twice, let the pigs outside. Many of them made a break for it. Selick’s darkness was so deep that he did not wonder where they went. It was so dark that he did not event try to run. When the woman did bring food, sometimes it was enough, and often it was not. She did the same thing with water. Selick’s mother taught him he had to be tough and mean to survive. She taught him to fight for his food, and it’s a good thing she did, because not all of the pigs survived that dark, sad place. But Selick, he survived. One day, a humane police officer came in, bringing light and fresh air with her. 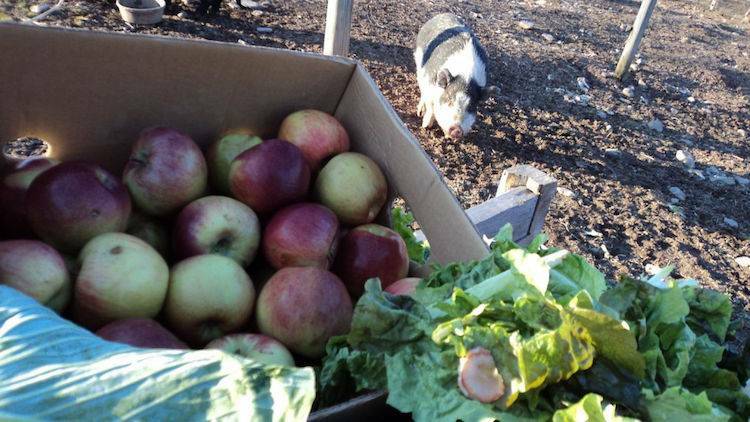 She had other humans and trailers, and the pigs were all happy to leave that barn behind. All the pigs but Selick, that is. Selick’s darkness was just too deep. He had no hope that wherever he was going would be any better, and he certainly had no hope that humans might help him. Selick and just a few of the other pigs were brought to a place called Indraloka. Three of them were given a big pasture with different little houses, and were told they could go in and out whenever they wanted. Selick took the best house for himself and was ready to fight over it. He was disappointed when Raymond and Waldo ignored him and went into the other house. The humans kept trying to lure him into complacency, but he knew better. He would never trust them. The others were suckers. They were won over by fruit and belly rubs, but Selick was going to do exactly as his mother taught him, so long ago. He avoided humans at all costs. If they insisted on touching him, he screamed and fought until they gave up. Raymond and Waldo were annoying. Selick knew that this situation with plenty of food couldn’t last forever, so he decided to make sure he’d survive again when things went bad. He began picking fights with them daily. He needed to prove to them he was in charge, so when he needed to fight for food, it would be easier to win. Years went by. Selick was sick of those stupid pigs. In fact, he never wanted to see another pig again. His darkness was still deep and thick. He decided he was not going to spend one more night in the same pasture as those stupid, annoying pigs. So, late one night, he found his way out. After wandering around for a while, he found Tom, Jake and Henny’s barn door. 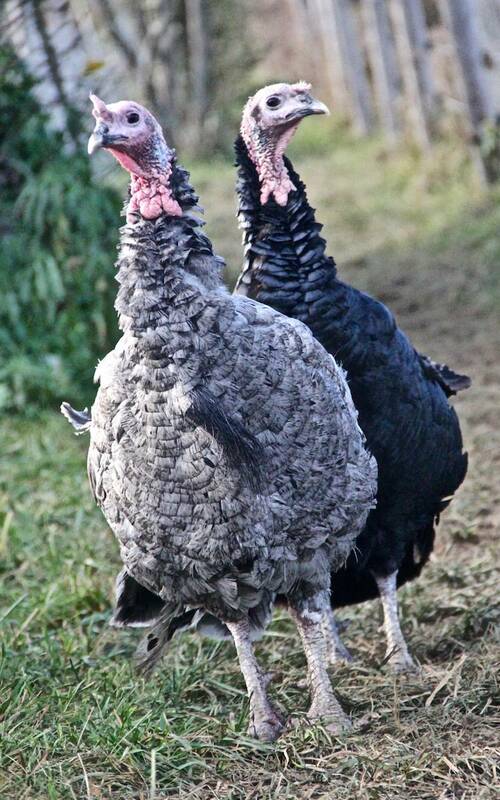 They were some very mellow old turkeys whose company he did not completely hate. 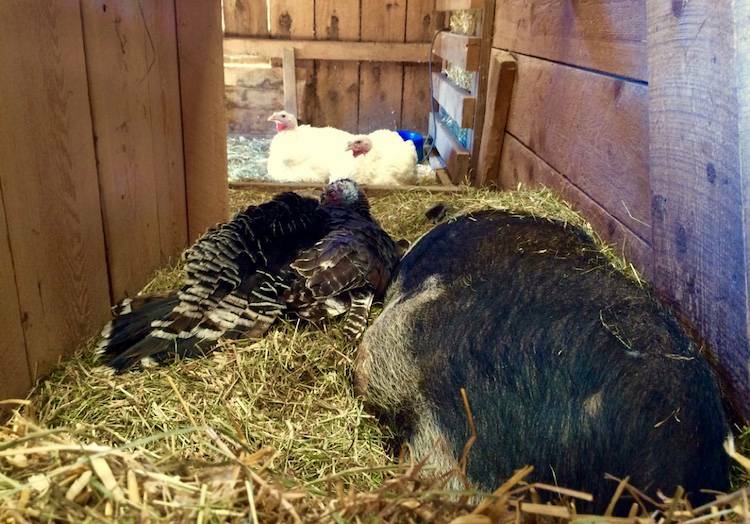 He knocked and grunted, and the turkeys kindly invited him in. They had a huge bowl of seed and grain right there in their house, and no one was even eating it! Selick gobbled it down and thought, “This is too easy! I didn’t even have to fight for this!” The turkeys just cooed softly and went to sleep. Selick, his belly full, and very relieved to have escaped the pigs, lay down and slept the whole night through. The turkeys were so easy to hang out with, and they had all this food and a pig-free home. They were nice to him, Selick realized. The edges of the darkness he had held onto for so long began to lift, and a tiny sliver of light came in. Selick knew he wanted to stay with these birds. 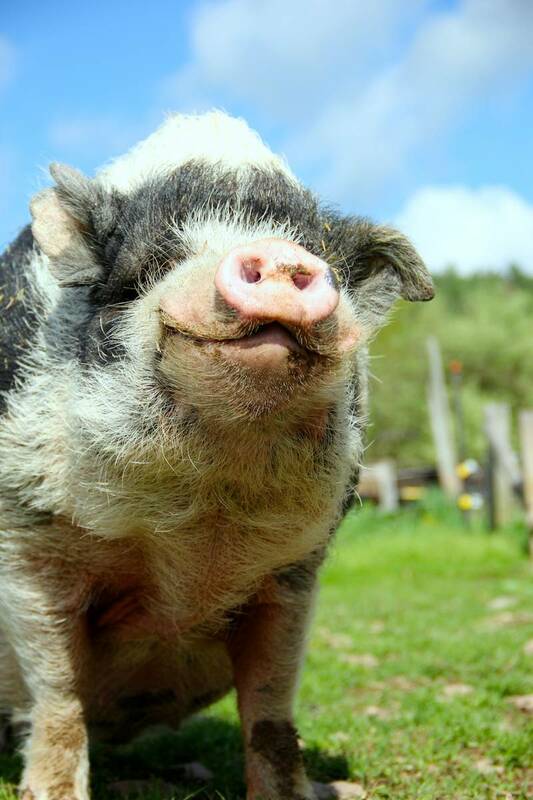 The next day those awful, fakey-fake humans came and put him right back in the pig pasture. Selick knew they couldn’t be trusted, and this proved it. They were not going to tell him where to live, though. So, that night, he broke out again and went straight to the turkey’s house. “These humans have got to be the slowest creatures who ever walked the earth,” Selick grumbled to himself. “Yeah, ok, lady, you sure do understand animals,” Selick said patronizingly, and the short human told him he could stay with them from then on. A few more slivers of light came through. Years went by, and Selick’s heart attacked him. It hurt and he was scared and he thought he was going to die. He was shocked to realize he wasn’t ready. He actually wanted to live. The short human started spending all her time with him, covering him with blankets, giving him medicine he hated and encouraging him to eat when he didn’t feel like it. Tom, Jake, and Henny stayed, too. Selick slept heavily, and a lot. One day, he dreamed that someone he didn’t hate was rubbing his belly. He woke groggily and slowly to discover it was true, someone was rubbing his belly. It felt so good, he went back to sleep. But this time, the old, blind pig slept in the light. His darkness had faded. He understood that the humans and the turkeys had saved his life. He could not come up with any reason for them to do that except that they cared. Maybe all humans weren’t entirely fakey-fake after all. Maybe some were ok.
As more humans sought him out, Selick started realizing the humans had feelings very similar to a pig’s. Lots of them are afraid to trust other humans, and fight with them just the way Selick did with pigs. Lots of humans lived in darkness because of a painful past that was long over, refusing to let the light of a new day in because they thought it would hurt more when the darkness came back. And just like he used to be, lots of humans were certain that the darkness would always be back. Selick was so much older and wiser now. That heart attack really helped him, because it showed him how much he did like life. He started living fully—exploring sanctuary grounds, making friends with lots of birds, goats, and other animals, although he still did not like pigs. He began to count certain humans as his friends, too. They’d come to him, talking and sometime crying about their problems, sometimes telling him their dreams, and sometimes just wanting to love and be loved. He’d talk with them and smile at them, and their whole world got brighter. For Selick, it was never enough just to escape his own darkness. Selick wanted to shine light on the whole world. So he smiled. You see, Selick had hope now. He had so much hope that it lit up his insides as bright as the sun. And when he smiled, that light of hope shone right out onto whoever was near, and stripped away their darkness for just a moment, so they’d feel warm and light, with hope restored. And please read followup story: Selick and the Flying Pig!